This is the first of a series of blogs covering Blue Line Technology’s – Project Blue Light. Project Blue Light is a crime deterrence initiative using our First Line Facial Recognition solution. The information in this blog covers six stores from coast to coast, Yakima, Washington, St. Louis, Missouri, and Baltimore Maryland. The profitability numbers detailed above are staggering. 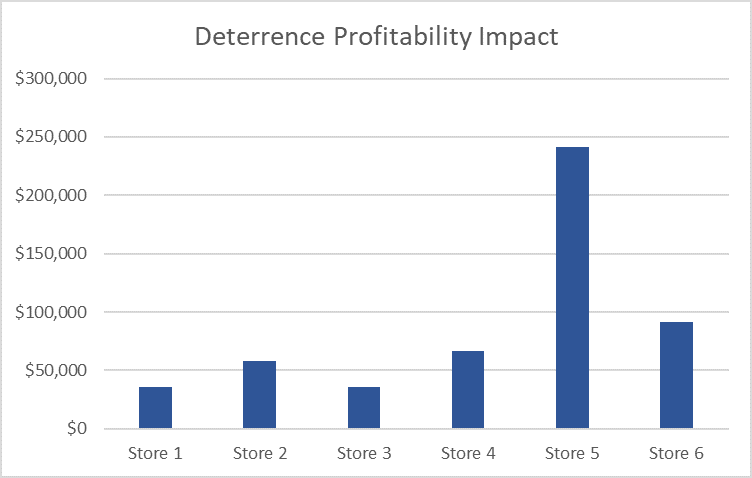 The metrics outlined were developed with guidance from store owners, loss prevention professionals and store managers. The results have been generated over two years of collected data from participating stores.